The excitement over L'Occitane monthly beauty box is unmatched. I have officially became the brand's junkie. 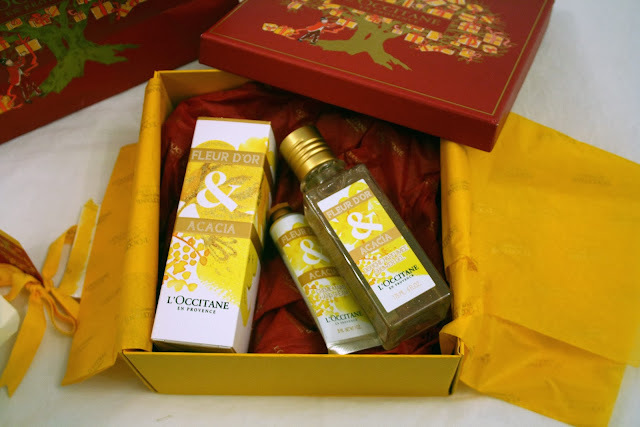 This month beauty box contained Fleur D'or and Acacia Eau De Toilette, Shower gel & Hand Cream. I've been using the shower gel for the past week and I'm loving it the flowery scent mixed with the citrusy smell of mimosa is so refreshing. The hand cream is quite perfumey and a bit on the strong side when it comes to smell but a nice edition to the ever growing hand creams collection of mine. I haven't tried the Eau De Toilette yet though.. 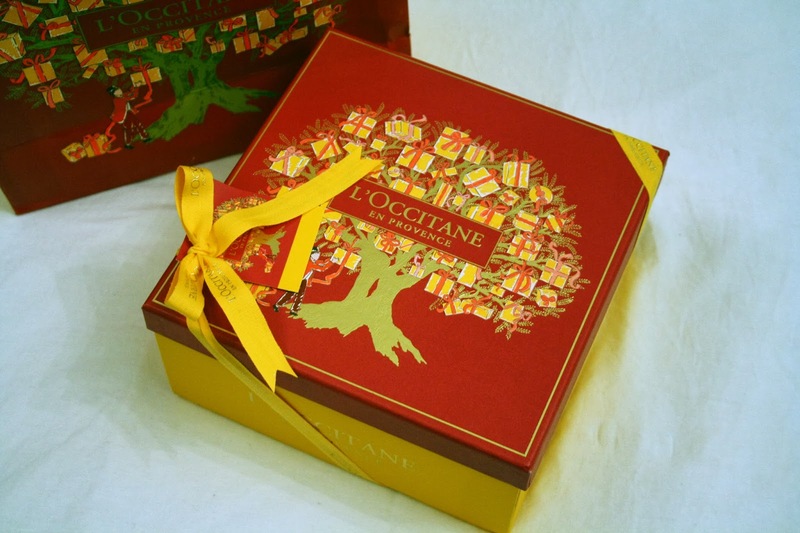 Thank you L'occitane for the wonderful beauty boxes, It was a wonderful goodies filled year ! For my previous reviews, Click Here !